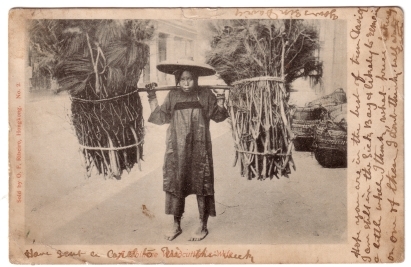 Action: A woman in Canton dress and straw hat carries on a pole two large bundles of dry kindling. She stands in a colonial-type street. Large baskets are piled on the side.